The Millennium Chess Genius Pro chess computer for club and tournament players of all skill levels. 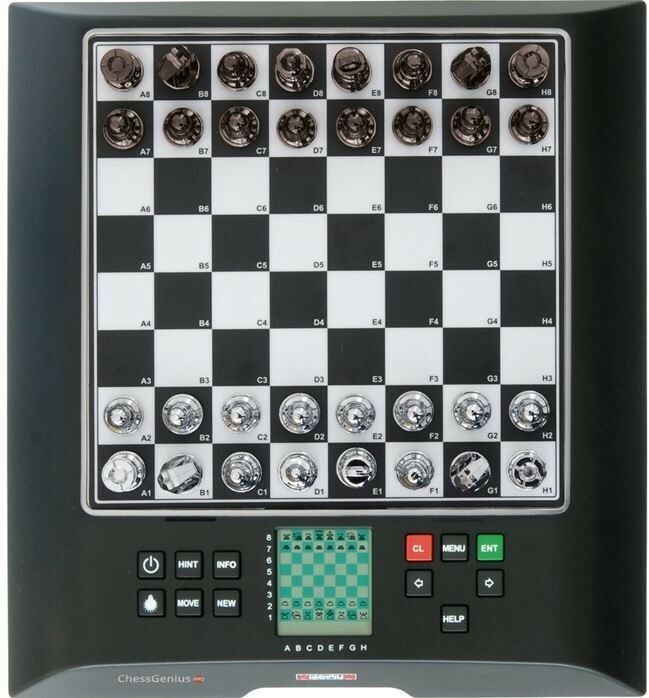 One of the most powerful chess computers of all time, featuring the world-champion software Chess Genius by Richard Lang! 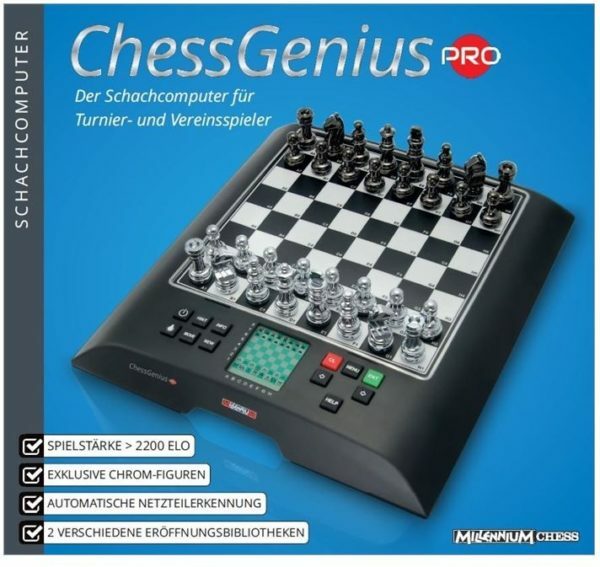 Genius Pro plays at a high skill level of more than 2200 ELO (2400 USCF). The chess pieces in an exclusive white and black chrome, along with felt and improved sensor board and pressure point. “Modern Book” with over 100,000 positions completely new library of modern opening variations by HIARCS. 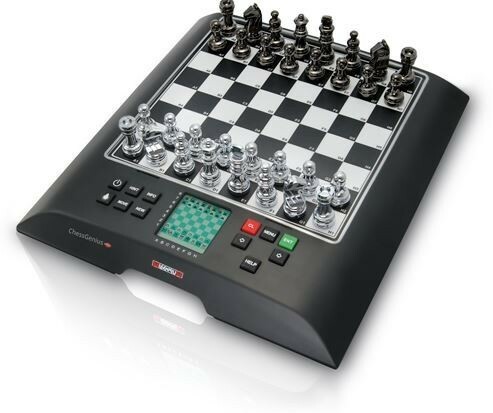 Ideal choice for improving, regular, or ambitious players. Due to the increased processor performance it’s recommended to use an AC power supply sold separately. The battery operation is fine, the playing time rate is low. Different match modes: Player vs. computer, player vs. player etc.